– November 15, 2012Posted in: Get A FitLife!, SusieQ FitLife Breaking News, SusieQ FitLife Updates! Can Fruits Save Your FitLife? Find out on SusieQ FitLife with Healing Treasure Inc! 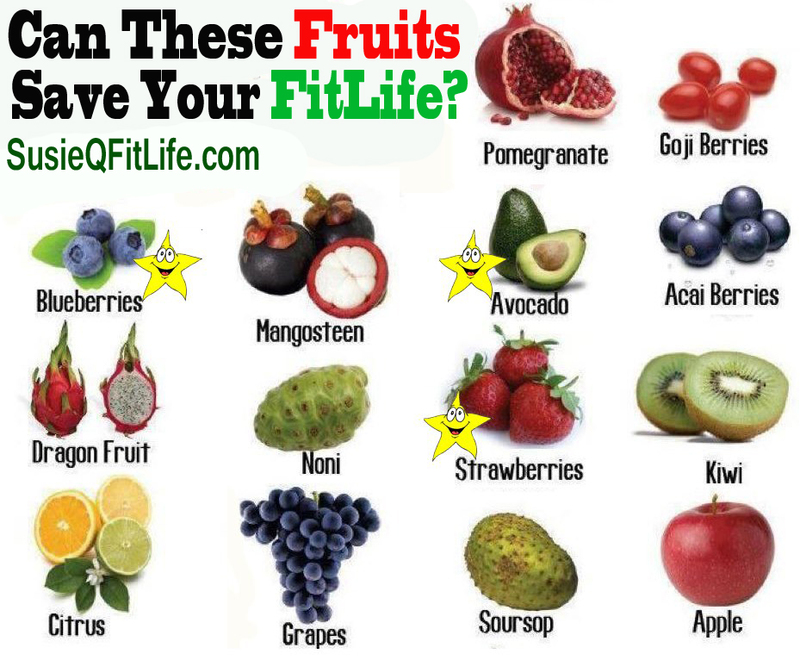 Antioxidant Filled Fruits Are Tasty & Healthy but NOT Cancer Fighters?! Are fruits good for you? Do fruits make you fat? Do they contain too much natural occurring sugars? 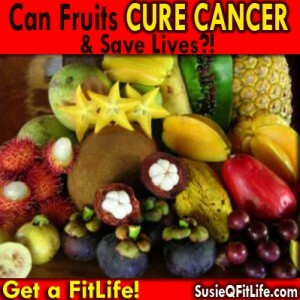 Can fruits cure cancer? These are just a few of the most popular questions asked about mother nature’s food. These tightly researched results might shock you and may upset a few health professionals along with multi-level marketing companies. However, SusieQ FitLife’s mission is not to win a popularity contest; rather, it is for the purpose of providing information to improve the Fit-Lives of many! Ultimately, the decision will be yours to make, because it is all about your FitLife! The absolute majority of fruits in our markets are tasty, healthy and easy to consume. They should be part of everyone’s regular daily balanced eating regimen; especially for children and ill-stricken people. Some fruits are better than others; some are more favored, more popular, exotic, unusual in taste or locally grown. Is fruit responsible for preventing cancer or curing cancer? Let’s reflect back on our ancestors or primitive people from the past, who had fewer diseases, illnesses and medications; yet they remained very healthy. Many people believe that fruits & an active FitLife-style may be the reason for their wellness & good health. Get ready to go beyond the skin of the fruit and delve into the bitter-sweet truth! Our local or well-known exported fruits such as: Grapes, Citruses, Strawberries, Pomegranates, Kiwis, Apples and other fruits do not need much discussion – just wash’em, eat’em & enjoy’em! There is nothing much to add to millions of articles on that matter. 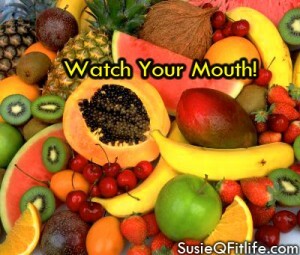 Instead of full of sugar sodas or fattening fast foods, salty cold cuts, sugar filled smoothies – you better eat fruits! We will address the exotic brothers and sisters of fruits outlined below and their ability to possibly cure cancer! (Direct links are provided to Wikipedia pages for additional information). 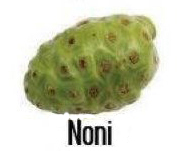 Noni – The natural fruit juice contains carbohydrates and dietary fiber in moderate amounts. These macronutrients evidently reside in the fruit pulp, as Noni juice has sparse amounts of nutrient content. The main micronutrients of Noni pulp powder include vitamin C, niacin (vitamin B3), iron and potassium. Vitamin A, calcium and sodium are present in moderate amounts. When Noni juice alone is analyzed and compared to pulp powder, only vitamin C is retained in an amount that is about half the content of a raw navel orange. Sodium levels in Noni juice (about 3% of Dietary Reference Intake, DRI) are high compared to an orange, and potassium content is moderate. The juice is otherwise similar in micronutrient content, compared to a raw orange. Noni fruit contains a number of phytochemicals. Although these substances have been studied for bioactivity, current research is insufficient to conclude anything about their effects on human health. These phytochemicals are not unique to Noni, as they exist in various other plants. Keep in mind that one of our FitLife Family members, Theda Yvonne Burke is a Bioactivist, who believes otherwise. Mrs. Burke works with Morinda Bioactives Queens and she credits the fruit for helping improve her painful joint problems. Theda enjoys informing people that Noni is a medicinal plant and a bioactive and that supports and sustains people without harmful side effects. 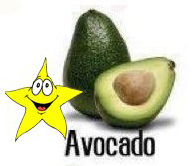 High avocado intake was shown in one preliminary study to lower blood cholesterol levels. Specifically, after a seven-day diet rich in avocados, mild hypercholesterolemia patients showed a 17% decrease in total serum cholesterol levels. These subjects also showed a 22% decrease in both LDL (harmful cholesterol) and triglyceride levels and 11% increase in HDL (helpful cholesterol) levels. Due to a combination of specific substances avocado is under preliminary research for potential anti-cancer activity. Extracts of avocado have been used in laboratory research to study potential use for treating hypertension and diabetes. Dragon fruit – The mild taste of the dragon fruit (often called pitaya) flesh is often remarked upon, as it stands in stark contrast to the vibrant exterior. 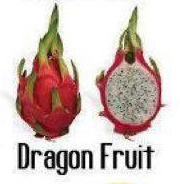 The taste has been described as being “very bland” similar to melon or kiwi” with a “mild sweetness.” Dragon fruits come in many varieties – the one we are most used to is a red-colored fruit, with a pearly white inside. However, dragon fruits come in yellow too! Some varieties of dragon fruit may also have pink or red flesh. All these different varieties provide unique taste to the dragon fruit. It is a great addition to any choice of diet, and provides some health benefits. But dragon fruits have NOT been proven to help those with diabetes, high blood pressure, or weight problems as some websites claim. 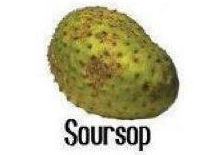 Soursop – It’s flavor has been described as a combination of strawberry and pineapple with sour citrus flavor notes contrasting with an underlying creamy flavor reminiscent of coconut or banana. Nutritionally, the fruit is high in carbohydrates, particularly fructose. The fruit also contains significant amounts of vitamin C, vitamin B1, and vitamin B2. The fruit, seeds, and leaves have a number of herbal medicinal uses among indigenous peoples of regions where the plant is common. There is evidence indicating that the fruit’s extracts selectively inhibit the growth of human breast cancer cells in a mouse model, but the effect has not been studied in humans. Research carried out in the Caribbean has suggested a connection between consumption of soursop and atypical forms of Parkinson’s disease due to the very high concentration of a chemical annonacin. 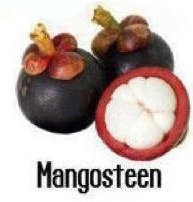 Mangosteen – sweet, unusual, mild-testing and not that easy to find in our stores. Various parts of the plant have a history of use in folk medicine, mostly in Southeast Asia. It is reputed to have possible anti-inflammatory properties, and may have been used to treat skin infections or wounds, dysentery or urinary tract infections. Research on the chemistry of the plant is still inadequate to assure the safety or scientific certainty of any of these effects. 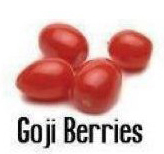 Goji berries – This fruit is also known as a Wolfberry. They may be dangerous linked for health pesticides being conventionally used in commercial wolfberry cultivation to mitigate destruction of the delicate berries by insects. Since the early 21st century, high levels of insecticide residues and fungicide residues have been detected by the United States Food and Drug Administration; in some imported wolfberries and wolfberry products of Chinese origin, leading to the seizure of these products. It was suggest that wolfberry polysaccharides have biological effects and possible health benefits, although no such claims have been supported by peer-reviewed research or approved by any regulatory agency. A 2008 pilot study indicated that parametric data did not show significant differences between subjects receiving goji berry juice and subjects receiving a placebo. In Traditional Chinese Medicine goji berries are used in many formulas only together with other herbs. The U.S. Food and Drug Administration (FDA) placed two goji juice distributors on notice with warning letters about marketing claims. These statements were in violation of the United States Food, Drug and Cosmetic Act because they “establish the product as a drug intended for use in the cure, mitigation, treatment, or prevention of disease” when wolfberries or juice have had no such scientific evaluation. Additionally stated by the FDA, the goji juice was “not generally recognized as safe and effective for the referenced conditions” and therefore must be treated as a “new drug” under Section 21(p) of the Act. New drugs may not be legally marketed in the United States without prior approval of the FDA. On May 29, 2009, a class action lawsuit was filed against FreeLife in the United States District Court of Arizona. This lawsuit alleges false claims, misrepresentations, false and deceptive advertising and other issues regarding FreeLife’s Himalayan Goji Juice, GoChi, and TaiSlim products. This lawsuit seeks remedies for consumers who have purchased these products over the past several years. 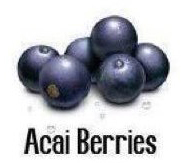 Acai berries – This fruit became popular as a supplement in 2004. Açaí supplements have become rapidly successful due to various multi-level marketing companies selling products. Unfortunately, a few companies have misused celebrity names as, Oprah Winfrey and Rachael Ray to promote açaí weight loss pills online. Marketers of these products make unfounded claims that açaí and its antioxidant qualities provide a variety of health benefits, none of which has scientific confirmation to date. False claims include reversal of diabetes and other chronic illnesses, as well as increasing men’s sexual virility. As of April 2012, there are no scientifically controlled studies providing proof of any health benefits from consuming açaí. No açaí products have been evaluated (in the United States) by the FDA, and their efficacy is doubtful. Specifically, there is no scientific evidence that açaí consumption affects body weight, promotes weight loss or has any positive health effect. In late 2008, lawyers for The Oprah Winfrey Show began investigating statements from supplement manufacturers who alleged that frequent Oprah guest Dr. Mehmet Oz had recommended their product or açai in general for weight loss. When three commercially available juice mixes containing unspecified percentages of açaí juice were compared for in vitro antioxidant capacity against red wine, tea, six types of pure fruit juice, and pomegranate juice, the average antioxidant capacity was ranked lower than that of pomegranate juice, Concord grape juice, blueberry juice, and red wine. The medical watchdog website Quackwatch noted that “açaí juice has only middling levels of antioxidants—less than that of Concord grape, blueberry, and black cherry juices. FRUITS ARE SAFE, TASTY, HEALTHY AND SHOULD BE CONSUMED REGULARLY. It is not a “MIRACLE” MEDICATION THAT TREATS CANCER OR ANY OTHER DISEASES! If fruit had the capability of curing cancer than one would have to consider how much fruit would need to be ingested in order to remedy or treat a condition. We encourage everyone to take charge of their own FitLife and research more facts on your own! We have not found any “REAL” or proven researched facts that have been published in any medical journals. Clinical research requires demonstration of safety, efficacy and specificity of ill-defined natural compounds before they are applied to treat diseases in humans, it is therefore reasonable to conclude that comprehensive human studies on the majority of the exotic fruits, and among them Goji berries, Dragon fruits, Mangosteens, Acai berries, Noni fruits and others - are at least a decade away. All of them has not met nutritive, market or research standards to be included among true superfoods, but certainly are excellent to be enjoyed simply for their eating pleasure. 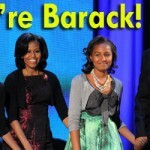 Please feel free to leave your feedback below. If you find any proven facts that refute the research above; we would love to see it and we welcome all your comments or questions below! Next week find out if citrus fruits should be eaten on an empty stomach! Let’s work together for a brighter and healthier future! Watch Your Mouth & Get a FitLife! Can Antioxidant, Cancer Fighting Fruits Can Save Your Life on SusieQ FitLife!